We all know that fruits and vegetables are in season at specific times of year, but what’s hot right now? Although we’re used to being able to eat pretty much what we want all year round, there’s nothing better than tasting a fruit or vegetable that is freshly picked or harvested. And their nutritional content will be far superior. 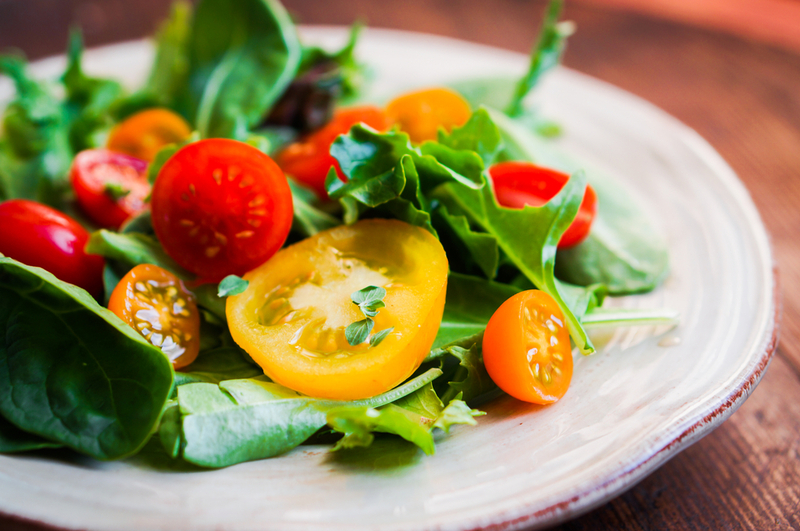 Clinical Nutritionist, Suzie Sawyer, gives us her seven favourite summer fruits and vegetables together with some top tips on how to get the best from them! 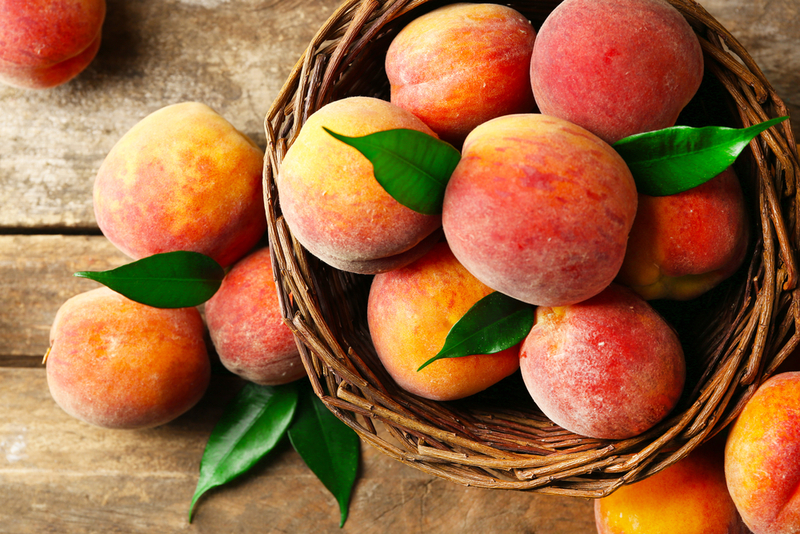 Juicy and delicious, peaches are in their peak season right now, from May to September. They make great snacks and are easily transportable. As with most fruits and vegetables, they contain good amounts of vitamin C, but one of their main claims to fame is that they are rich in the highly nutritious carotenoids, lutein and zeaxanthin. Both of these compounds provide powerful antioxidants to help hold back the years but they are particularly protective of the eyes – they are both found concentrated in the macula of the eye. Although strawberries are generally available all year round, they really are worth eating in season; they are truly delicious at this time of year and especially when purchased fresh from local farmer’s markets. Their beautiful colour means they contain significant levels of phytonutrients and antioxidants which help to fight free radicals; they are nutritional powerhouses! Strawberries also contain high levels of vitamin C, which is great for the skin and immune system, but vitamin C is easily destroyed during preparation, storing or cooking. 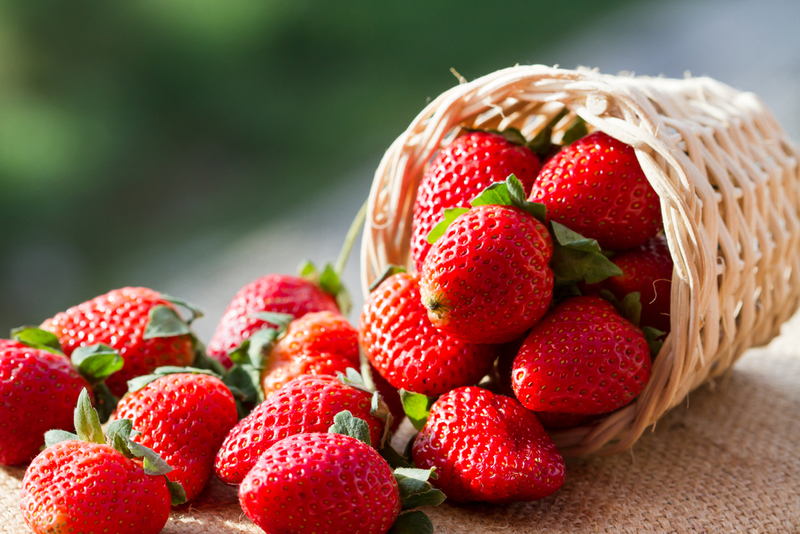 So, there’s no better way to eat strawberries than straight away and just as they are – plain and simple! There is a classic conundrum around tomatoes; are they fruits or vegetables? They are, in fact, fruits because they contain seeds and indeed are often referred to as ‘fruits of the vine’. Tomatoes are supremely adaptable in terms of their recipe uses and are just as delicious on their own or in salads. They are great as a soup, in a salad with mozzarella and basil, in omelettes, in curry, tartlets, lasagne and moussaka – the list goes on! Tomatoes are probably best-known for their lycopene content and lycopene is a powerful antioxidant that appears to be protective of the male prostate. Interestingly, the lycopene content of tomatoes is enhanced when they are cooked in oils such as olive oil. The content is also high in tomato ketchup but so is the salt and sugar, so be sparing if you love a bit of ketchup with your meal! 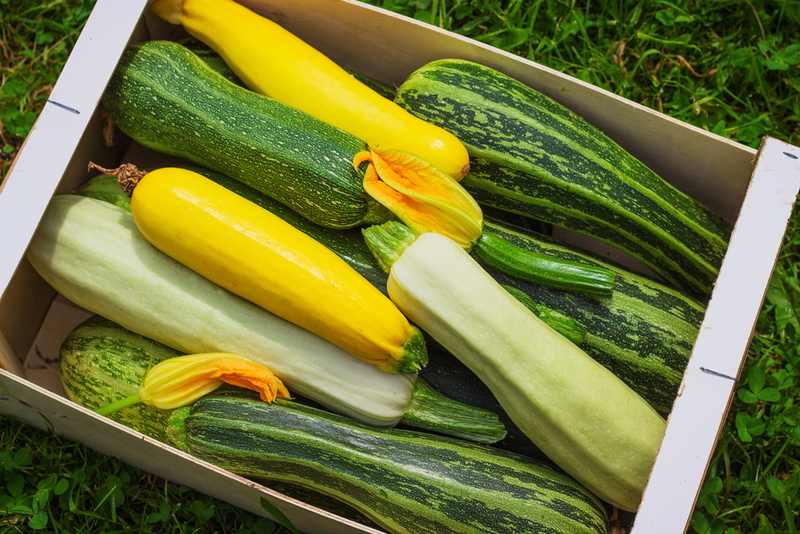 Another summer recipe staple at this time of year are courgettes, also known as zucchini. Although they don’t pack quite the nutritional punch of some of the other green vegetables, they still provide good amounts of potassium, which is great for heart health, as well as vitamin C to support the immune system. As their water content is naturally high, they are best not boiled; one of the best ways to use courgettes is roasted in the oven with a little olive oil accompanied by onions, peppers and tomatoes. 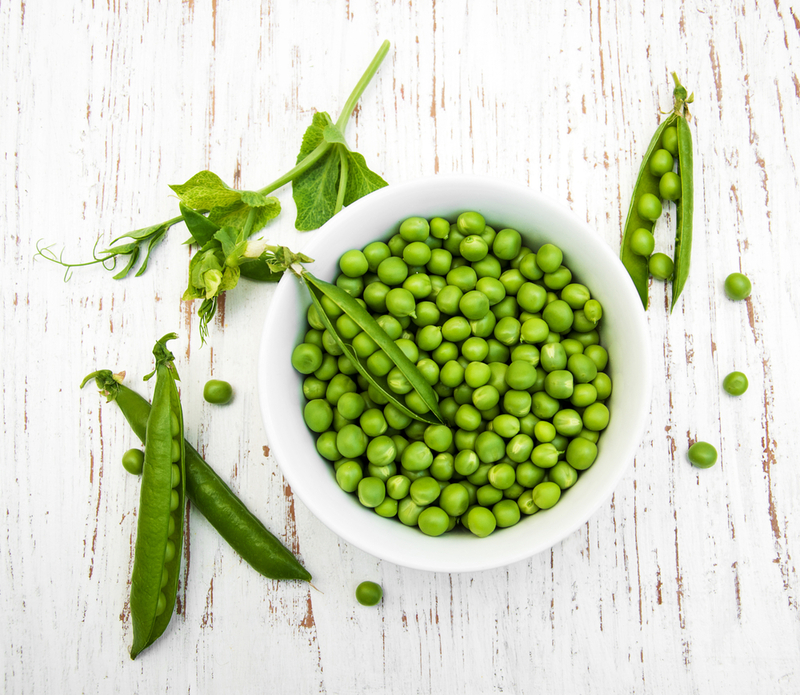 Did you know that a serving of peas (or one cup-full) is packed full of nutritional benefits? One serving contains more vitamin C than two apples and more fibre than one slice of wholemeal bread! They are little nutritional powerhouses! Unlike many other vegetables, peas are also an excellent source of protein so they’re especially great to include in a vegetarian or vegan diet. Pea protein products are often used as protein sources for vegetarian or vegan athletes and they are generally non-allergenic, unlike soya protein. We all know that carrots help you see in the dark! But is this an old wives’ tale? 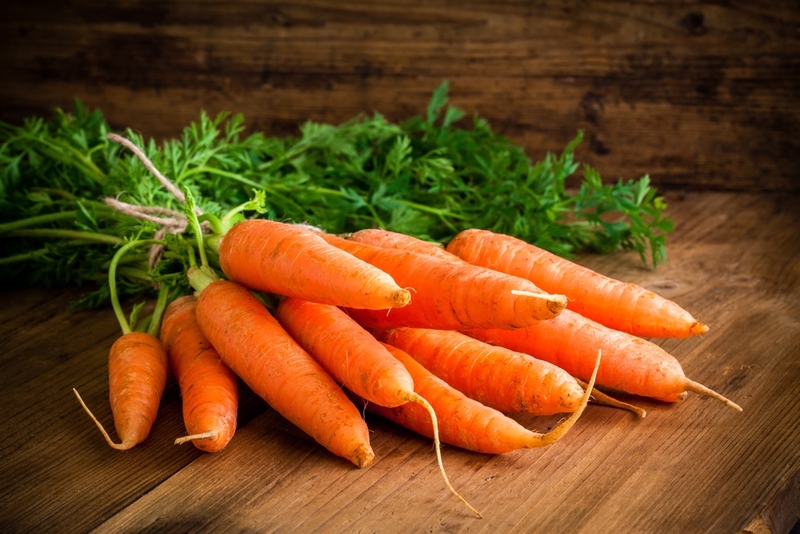 Carrots do indeed contain very high amounts of beta-carotene, which is converted in the body to vitamin A, and Vitamin A is essential for vision – particularly night vision. They also contain those wonderfully powerful carotenoids lutein and zeaxanthin, as found in peaches, both of which have great affinity for the eyes. Carrots are amazingly versatile and never fail as a store-cupboard staple! A common carrot treat is the ever-popular carrot cake. It does, of course contains some carrots and therefore some of the nutritional benefit of these, together with sugar, eggs, flour, nutmeg, cinnamon and raisins, but it’s absolutely delicious, so do treat yourself occasionally! Spinach is actually one of the healthiest vegetables you can eat. Even better, it’s in season right now! And whilst all fruits and vegetables contain a variety of phytonutrients (highly nutritious compounds), spinach contains some of the highest amounts of all vegetables. 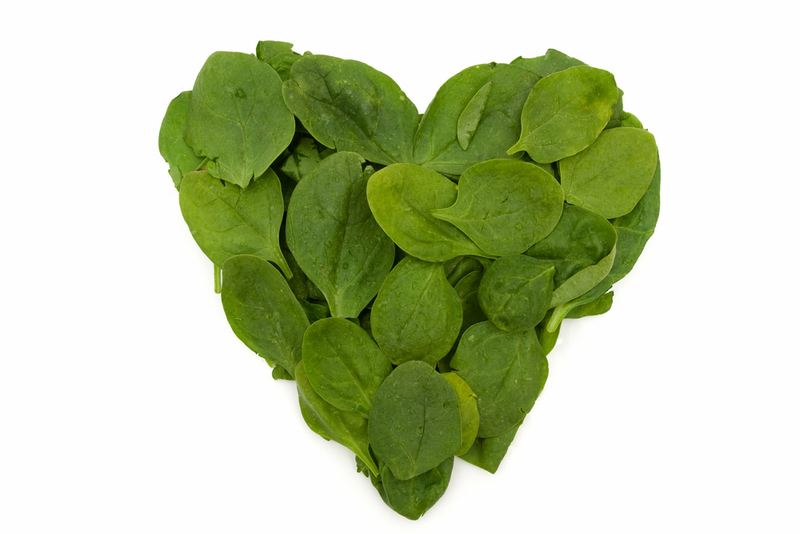 The deeper the colour of spinach, the more vitamins – particularly vitamin C – it provides. Spinach is also rich in vitamin K which is needed for healthy bones and the heart, but even better it actually contains most of the essential vitamins and minerals the body needs on a daily basis. There are so many uses for spinach: raw in salads with walnuts and blue cheese; in soups; on the breakfast menu with poached or scrambled eggs; as part of a wholemeal pasta dish. Because spinach ‘wilts’ down when cooked (preferably stir fried or steamed), it can also be disguised in lots of dishes if you have children who don’t like eating anything green! So this summer why not try and eat more seasonally – the choice is endless for creating delicious dishes with these in-season fruits and vegetables. ← Ready to bare all? How to ‘beat the bloat’ this summer!